A permanent solution to traffic woes? If you're already fed up by the never-ending traffic at the corner of EDSA and Taft Avenue in Pasay City, the Metro Manila Council has a solution: Construct a flyover that will go over this perpetually busy intersection. 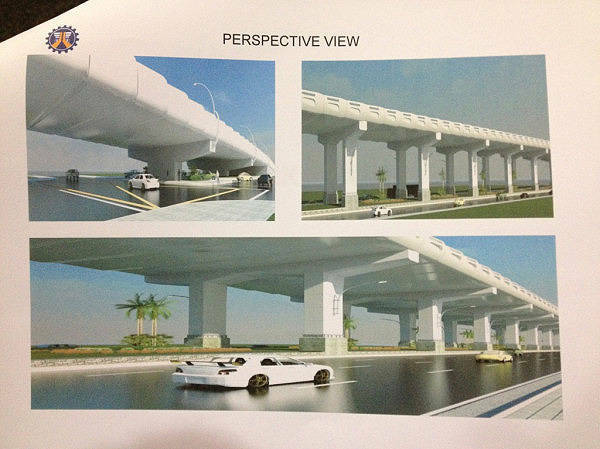 At a recently concluded meeting of the Metropolitan Manila Development Authority's policy-making body, the MMC approved the construction of a four-lane, split flyover that will traverse the street-level section of EDSA between Osmeña Highway and Roxas Boulvard. Based on a photo posted online by MMDA traffic discipline chief Yves Gonzalez, the northbound section will measure 1.422km and start right in front of the Heritage Hotel in Pasay City and end near the Malibay Bridge in Makati City. The southbound section, on the other hand, will measure less than 1km and begin near the Malibay bridge and terminate in front of the Heritage Hotel as well. You may be wondering why, despite having the same start and end points, the northbound section is nearly half a kilometer longer than the southbound section. Well, that's because the southbound section will utilize the existing Tramo flyover as its on-ramp. It may take years before the construction of the new flyover starts--if it pushes through to begin with--but do you think this is a step in the right direction to alleviate the problem that is the EDSA-Taft Avenue intersection?